NEW SHAZAM! ACTION FIGURES ARE HERE! The new look at Shazam! Action figures is here. It reveals the new familial unit of 14-year old foster kid Billy Batson. Batson transforms into a grown-up superhero Shazam, suited up as their own alter ego. The toys show Billy’s friend Freddy and fellow foster kids Mary, Darla, Pedro and Eugene. The next entry in Warner Bros. DCEU, home to Wonder Woman, Justice League and Aquaman, Shazam! remains in secrecy as fans hope for an upcoming trailer to offer a new look at David Sandberg’s new film. 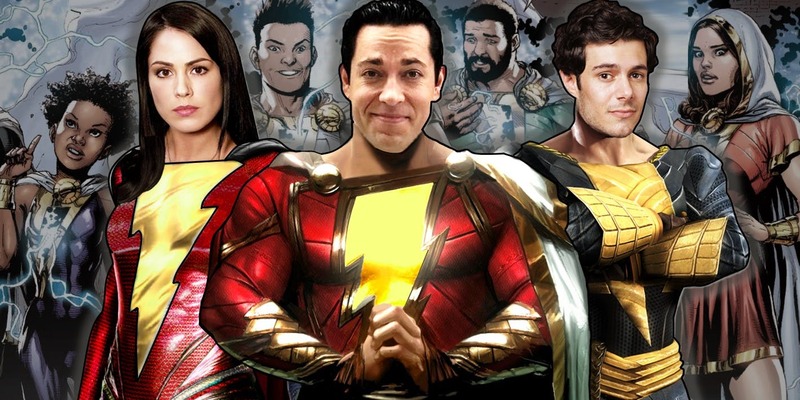 ZACHARY LEVI AND DAVID SANDBERG ARE EXCITED! “I can’t tell you much, as you can probably imagine, but what I can say is I am just out of my mind excited!” Levi previously told ET. “It’s such a unique character, and it is that wish fulfilment of a kid that gets to become an adult superhero, which we haven’t seen before, really,” Sandberg said of the appeal to the character, who first appeared in comics in 1939.